Movement sparks progress. For high-performers, this forward momentum is powered by currents in science, technology, and subculture. To celebrate ASICS' GEL-KAYANO® 25 and GEL-CUMULUS® 20, Furthermore and ASICS have partnered to harness the power of these currents and show you how to channel them into actual results. In the video above, Julie Granger, a New York City-based group fitness instructor at Equinox, demonstrates how runners can get the most out of their runs, depending on where they take place. Below, Siik and other running experts break it all down. Stand back. To open up your optimal stride, move back about one foot from the screen. “If you are smashed right up against the monitor, it will affect your arm drive and even your stride, leading to an un-natural running form,” says Siik. Do intervals. 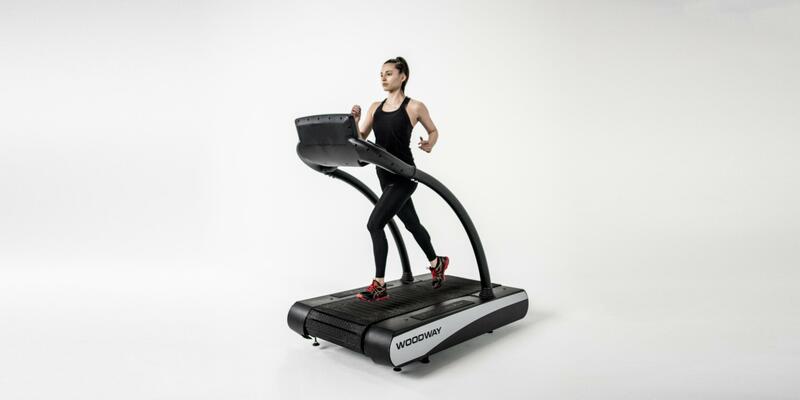 Tempo runs and speedwork can be more effective on the treadmill, notes Angela Moore, lab manager for the Precision Running studio at Equinox Chestnut Hill in Boston. “It’s easy to get in the habit of just running the same speed when you’re outside,” she says. Plus, today’s treadmills are much more performance-driven, notes Siik. “You are able to plan, track, and focus on metrics like never before. This can be very motivating as well as help you stick to a plan.” For example, audio coaching on a tread is extremely different than outdoor running, says Siik. Precisely changing the variables on the tread is something that would be very difficult for a runner to manage outdoors. It’s the difference between your coach on a track asking you to “pick up your pace a little” and a coach by your treadmill asking you to “add 0.3 mph to your pace”. Finish with hamstring work. Due to the mechanical element of a moving ground, running on a treadmill requires slightly less hamstring activation, says Siik. “It isn’t enough to create weak hamstrings but it is a difference.” Tack on a few minutes of hamstring-strengthening exercises, like single-leg deadlifts, after your tread run to ward off potential imbalances. Protect yourself from the elements. “Running on a tread gives you a break from sun and wind damage to your skin, as well as from heavy pollution in urban areas,” says Siik. When running outside, always wear a broad-spectrum SPF and, when possible, seek areas away from major sources of pollution (think highways or factories). Prep for lateral movement. On a treadmill, you don’t turn or have to step around or over terrain; the outdoors introduce movement in other planes of motion. Add some lateral band walks to your warm-up routine to get your glutes firing (adding stability to the hips) and work your abductors and adductors which control limb strength. Switch up your terrain. You can’t change the texture or terrain of a treadmill belt, but you can take your run to the trails, beach, areas with altitude, and even grass. And whether it’s strength training, running, or some other fitness pursuit, variety is one of the keys to avoiding plateaus—and continuing to improve.